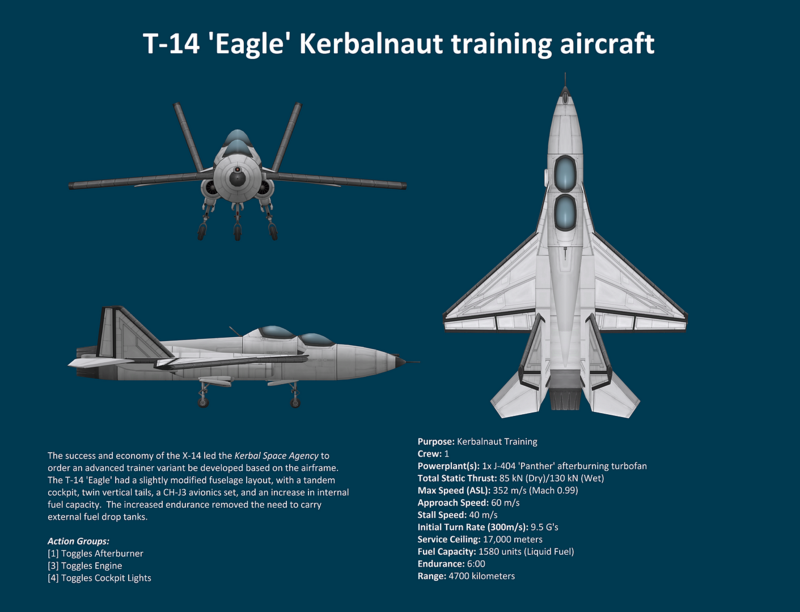 The success and economy of the X-14 led the Kerbal Space Agency to order an advanced trainer variant be developed based on the airframe. The T-14 ‘Eagle’ had a slightly modified fuselage layout, with a tandem cockpit, twin vertical tails, a CH-J3 avionics set, and an increase in internal fuel capacity. The increased endurance removed the need to carry external fuel drop tanks.